We are excited to announce that Sacred Valley Project (SVP) will be returning to the 2017 Visionaria Summer Leadership Institute (an intensive version of the Visionaria Empowerment course: 5-days of workshops, followed by 4-6 weeks of team project activities). 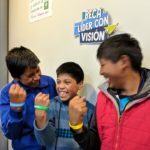 The Visionaria team first discovered and approached Sacred Valley Project (SVP) when searching for additional girl-serving organizations to invite to the Summer Leadership Institute as part of the Visionaria Peru Rotary grant project (the early format and inspiration for the Visionaria Empowerment Course today). Three girls from SVP attended the 2014 and 2015 Summer programs, and six girls attended in 2016. After a recent meeting with Gabriela, SVP’s wonderful home director, we expect 5-10 girls who have not yet participated in the Visionaria Summer program to attend the 2017 program at the end of January. When Visionaria Network’s regional manager spoke with Gabriela in October, 2016, she remarked that they are very interested in continuing to participate together with Visionaria. 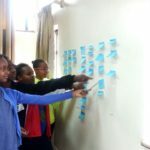 She has seen very positive changes in her girls following the Visionaria intensive Summer programs: “they don’t feel so timid, they speak with greater ease and greater confidence”. For the Sacred Valley Project the Visionaria Summer program provides a great value for them. 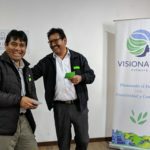 They understand that the Visionaria program is not competing with what they already provide, but is simply meant to compliment the great work they are already doing. 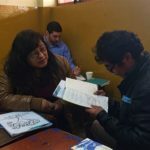 As the Sacred Valley Project works to support their second home in Calca, we are excited to continue supporting their work through intensive Visionaria programs, and providing advice them to make sure their girls and boys succeed as they complete and advance past their secondary education. In 2017 we are aiming to create additional internship and project opportunities for their girls to interact with the regional development leaders (like the Ministry of Development and Social Inclusion, and other non-profit organizations) who are working to improve the quality of life in the hills where many of SVP’s students are from. Sacred Valley Project supports girls and boys in the Sacred Valley of Peru to attend and succeed in secondary school. They manage dormitories in Ollantaytambo and Calca for students to live and study during the week, avoiding an otherwise 2+ hour walk to and from school on weekdays. 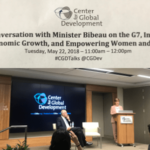 They have been recognized and continue to receive support from other great organizations like She’s the First and Latin American Fund for the Future (LAFF), who we also respect and believe share in our Visionaria spirit and mission.